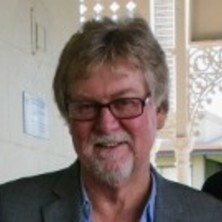 Allan Hodgson has over 40 years experience as an active teacher, researcher and administrator in the finance industry. He is currently Professor of Accounting and Finance at the UQ Business School, University of Queensland. Previously, he was Dean of the University of Amsterdam Business School, Director of Graduate Studies and Professor of Accounting (2004-2010), Dean of Commerce and Management and Professor of Banking, Finance and Risk Management and Head of Department at Griffith University (1996-2004), and Senior Lecturer/Lecturer at the Australian National University and the University of Canberra. He currently holds Visiting Professorships at the University of Strathclyde, Glasgow (since 2001) and Kasetsart University, Thailand (since 2009) and held visiting professorships at the Universities of Leeds, Manchester, Santa Clara, Clarkson and ESSEC (Paris) where he taught MBA and postgraduate finance. His professional experience includes CEO of Universities Credit Society, analyst positions in the Departments of Finance and Foreign Affairs, company Directorships and consulting experience that includes banking (Amsterdam) and Tata (India). He holds a Senior Associate at FINSIA where he currently sits on the Retail and Business Banking Industry Council Board. In academe his has undertaken several international reviews of Business Schools and MBA programmes in Europe, Hong Kong, India and Australia as a member of the international EQUIS panel. Allan’s research publications list exceeds 50 articles in a broad range of refereed international journals including three best paper awards (Journal of Financial Research; Journal of Futures Markets; Accounting and Finance; Abacus; Journal of Business Finance and Accounting; Journal of International Accounting Research, Accounting in Europe; Journal of Business Ethics; Australian Journal of Management; Journal of Multinational Financial Management; and International Review of Financial Analysis). He is ranked at the highest level of international accounting researchers in the top 25 journals (Heck, 2009) and in the top 15% of Accounting and Finance authors over the last 20 Years (Chan et al, 2012). He is the author of the text “Accounting Theory” now in its 7th Edition. He has been chief investigator on several successful ARC discovery grants and has attracted aggregate business research funding of $800,000. In addition, he sits on six international Editorial Boards, was the former Editor of Accountability, Accountability and Performance (2000-2004), is a regular conference presenter and is appointed by IAAER and ICAEW to co-monitor, mentor and award research seed funding to promising early career academics in developing countries. Allan has supervised ten successful PhD students who have published in the highest ranked accounting and finance journals― USA (Accounting Review), Canada (CAR), UK (JBFA) and Australia (A&F). Allan teaches Financial Management in the MBA programme and Empirical Finance in the Honours programme. Journal Article: The location of comprehensive income reporting – does it pass the financial analyst revision test? Bank intangibles as an ex-ante option? The assessment of financial analysts and directors. Godfrey, Jayne, Hodgson, Allan, Tarca, Ann, Hamilton, Jane and Holmes, Scott Accounting Theory Seventh ed. Brisbame, Qld, Australia: John Wiley and Sons, 2010. The location of comprehensive income reporting – does it pass the financial analyst revision test? Transferring and trading on insider information in the United States and Australia: Just a case of happy hour drinks? Do macro-economic crises determine accounting value relevance? Budsaratragoon, Pornanong, Hillier, David, Hodgson, Allan and Lhaopadchan, Suntharee (2016) Asset allocations in a Thai defined contribution fund: a behavioural experiment conditioned by financial expertise. International Journal of Economics and Management, 10 S2: 319-339. Hodgson, Allan and Nechita, Elena (2013) Calculul rezultatului global in conformitate cu IFRS: risc ridicat de audit pentru auditorii din Romania. Comprehensive income calculation under IFRS: increasing audit risk for Romanian auditors. Audit Financiar, XI 105: 28-36. Byrne, Alistair, Clacher, Iain, Hillier, David and Hodgson, Allan (2013) Assuming the worst: the shifting sands of pension accounting. Journal of Accounting and Management Information Systems, 12 2: 190-212. Budsaratragoon, Pornanong, Lhaopadchan, Suntharee, Clacher, Iain, Hillier, David and Hodgson, Allan (2012) Allowing flexible personal savings and investment choices in public sector pension plans - implications from an emerging economy. Accounting, Accountability and Performance, 17 1-2: 1-21. Dobre, Mirela and Hodgson, Allan (2010) Controlul intern si credibilitatea situatiilor financiare - noi directii de cercetare pe plan international. Audit Financiar, 8 11: 25-31. Annaert, Jan, DeCeuster, Mark and Hodgson, Allan (2005) Excluding sum stable distributions as an explanation of second moment condition failure - the Australian evidence. Investment Management and Financial Innovations, 1: 30-38. Brailsford, Timothy J., Frino, Alex, Hodgson, Allan and West, Andrew (1999) Stock market automation and the transmission of information between spot and futures markets. Journal of Multinational Financial Management, 9 3-4: 247-264. Hodgson, Allan (1998) Endogenous and exogenous determinants of interest rates. Journal of Multinational Financial Management, 8 2-3: 249-263. Banks, Louis, Hodgson, Allan and Russell, Mark (2016). Is comprehensive income component reporting superior? A focus on analyst revisions and reporting location. In: Irena Jindřichovská and Dana Kubíčková, Ifrs: Global Rules & Local Use. 4th International Scientific Conference on IFRS - Global Rules and Local Use, Prague, Czech Republic, (7-22). 29-30 September 2016. Finn, F. J. and Hodgson, A. (2000). A re-examination of the determinants of aggregate takeover activity. In: Proceedings of the 7th Asia Pacific Finance Association Annual Conference. 7th APFA Annual Conference, Shanghai, (). 24-26 July, 2000.